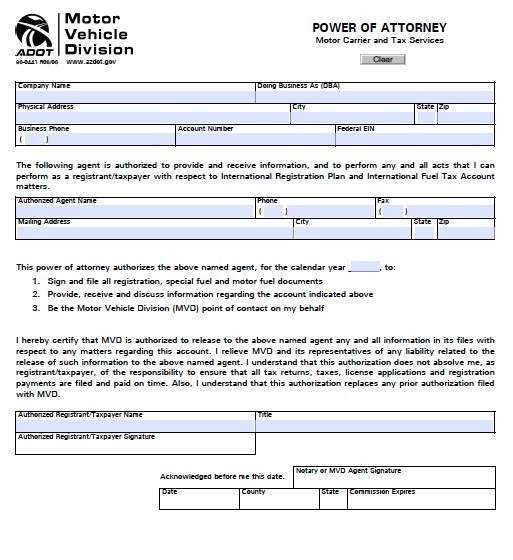 Also referred to as form 96-0441, allows a person to handle any type of vehicle related matters at a Motor Vehicle Division office within the State. The form releases the State from any wrongdoing (if any) that is caused by the agent selected. The form must be completed with the principal and agent appearing before a notary public for signature. The agent may use the document for any future uses with the MVD.